THE NEW safety campaign for 2018-19 from IPAF reminds managers and operators conducting work at height using MEWPs to carry out proper risk assessments, choose the correct equipment for the job, conduct thorough site and machinery inspections, to use only trained and familiarised operators under proper supervision and to implement adequate segregation from other machinery and vehicular traffic. From IPAF’s accident data analysis, we’ve identified key contributing factors that can result in falls from a work platform. These accidents can be prevented by proper planning and safely managing the use of MEWPs. We are highlighting these factors so managers and operators know the risks and know their responsibilities. IPAF works with all users and contractors of powered access equipment to serve and support their individual requirements. Operator behaviour when using MEWPs is usually a positive in terms of safety, but risky behaviour can be a contributing factor in falls from a work platform. 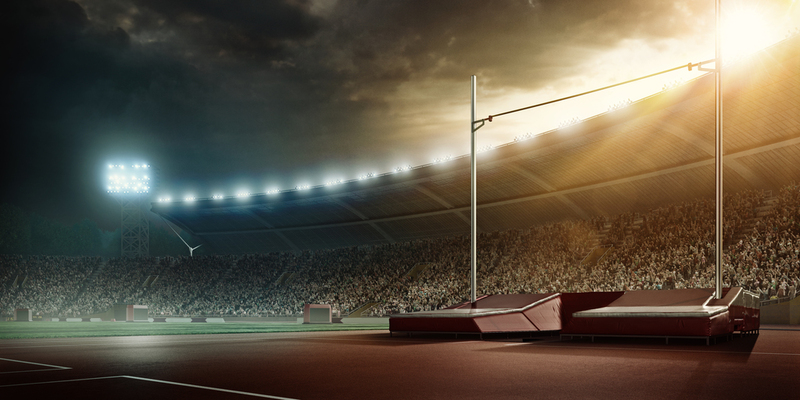 Common risky behaviours include overreaching or leaning out of the platform, climbing on guardrails, tying gates open or overriding safety controls. To discourage these behaviours, managers should ensure operators are trained; that the right machine has been selected for the job; and that all work at height is adequately supervised. Stepping out of the platform immediately exposes the worker to falling from height, even if the intended destination is a solid structure. You should remain inside the work platform at all times. MEWPs are frequently positioned in proximity to moving machinery or vehicular traffic. A collision between a MEWP and other plant or a road vehicle can be catastrophic. Therefore, always restrict movement of machinery and/or traffic near the MEWP. Ensure site planning and risk assessments are conducted prior to positioning the MEWP and implement an exclusion zone and a traffic management plan wherever this is relevant. To avoid accidents through mechanical failure and to ensure MEWPs are maintained in safe working order – the owner’s legal obligation – MEWP owners should implement a rigorous inspection, maintenance and thorough examination regime. The inspection schedule includes: Pre-use inspection; periodic inspections at three or six months; annual inspection; all inspections must be conducted by a competent person with adequate training and experience on that type of MEWP. To support IPAF’s new safety campaign a new online spreader pad calculator has been launched at pads.ipaf.org. IPAF also offers Andy Access safety posters that can be used to deliver quick and simple safety talks on sites or in breakrooms and to further support this is also developing a series of Toolbox Talks to help get these important messages across on job sites and break rooms. IPAF also offers a range of safety stickers, which are regularly reviewed and updated, to be deployed on MEWPs to remind operators and managers of certain key operational considerations. These two are offered free of charge to any user of MEWP equipment, simply contact your nearest IPAF office or representative via www.ipaf.org/contact to request advice or safety campaign materials. Operator behaviour when using MEWPs is usually a positive in terms of safety, but risky behaviour can be a contributing factor in falls from a work platform. 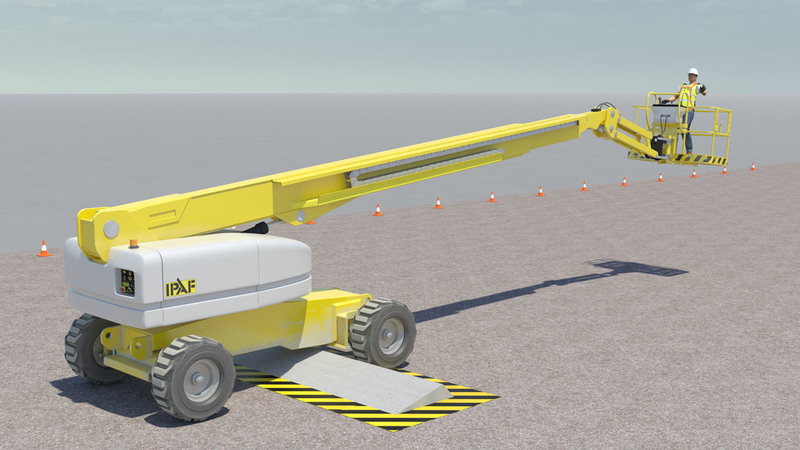 IPAF has also confirmed that it has updated one of its most widely used global safety stickers for use on MEWPs – launching a redesign of the decal that is applied to machines to indicate where the auxiliary lowering controls are located. The new design has been developed in consultation with IPAF members via its technical committees and provides an easy-to-comprehend and clearly visible reminder to operators, managers or supervisors of MEWP operations as to where the auxiliary lowering controls are on the particular machine being operated. The existing decal design has been subtly improved and continues to be aligned to international safety standards; we urge manufacturers, dealers, distributors, rental companies and owners of MEWP equipment to update the machines in their fleets with the new decal at their earliest convenience. The decal was initially developed by IPAF after our CEO Tim Whiteman observed an experienced supervisor had difficulty in finding the auxiliary lowering controls while carrying out a routine pre-use inspection. Despite the fact this particular operator had carried out thousands of such inspections before, a temporary ‘blind spot’ meant he was forced to consult the owners’ manual in order to find the controls. Obviously, any such delay in a situation where the auxiliary controls are required while someone urgently searches for them is undesirable, necessitating clearly labelled controls so a supervisor or colleague on the ground knows what to do and can step in quickly if the machine loses functionality or cannot be operated from the platform. Over the years, IPAF’s auxiliary lowering controls decals have become widespread in our industry, and have no doubt been a useful aid in numerous situations where temporary work at height has gone wrong or posed a risk to operator safety. IPAF advises that a clear rescue plan must be in place before using the MEWP. A rescue plan will include all the actions required to recover the platform in the case of machine malfunction by using the auxiliary controls, and equally importantly how to operate the MEWP from the ground in an emergency. It is critical that someone on the ground knows what to do and is familiar with the ground controls of the MEWP before the platform is raised. It is important to note that it may not always be advisable to operate the platform using the auxiliary controls in all emergency situations, however, so always check the manufacturer’s recommendations when setting out a protocol for emergencies and devising your rescue plan. Planning ahead for safety is IPAF’s key campaign for 2018-19, and this is certainly one eventuality that should be considered as there is no excuse for an operator to be stranded in a MEWP platform with no-one on the ground that has been shown how to lower the MEWP safely or to otherwise safely effect a properly planned rescue. Operators and managers of powered access equipment are reminded that the award-winning series of Andy Access posters is available to download and should be used on job sites and break rooms to remind employees of basic safety considerations and reduce the number of accidents and near-misses when using MEWPs and MCWPs. IPAF advises employers to download a poster a month and to make them part of their company’s ongoing safety messaging. The latest in the series include three for MEWP operations – Caution with guardrails, setting up on a slope and Correct MEWP selection and for the first time there are also posters specifically for MCWPs “Don’t overload the platform, and Do not interfere with ties”. IPAF’s 'Setting up on a slope?' Andy Access poster reminds managers and operators to carefully assess gradient and ground conditions and to ensure outriggers and spreader pads are on level and stable ground before carrying out work, while the “Don’t overload the platform” poster cautions against exceeding the specified weight limit on MCWPs. Tim Whiteman, IPAF’s CEO and MD, is always keen to remind employers that these free posters are a simple way for employers and managers to get safety messages across. You can add your company logo and make it part of your regular safety briefings. It’s amazing how effective they are.